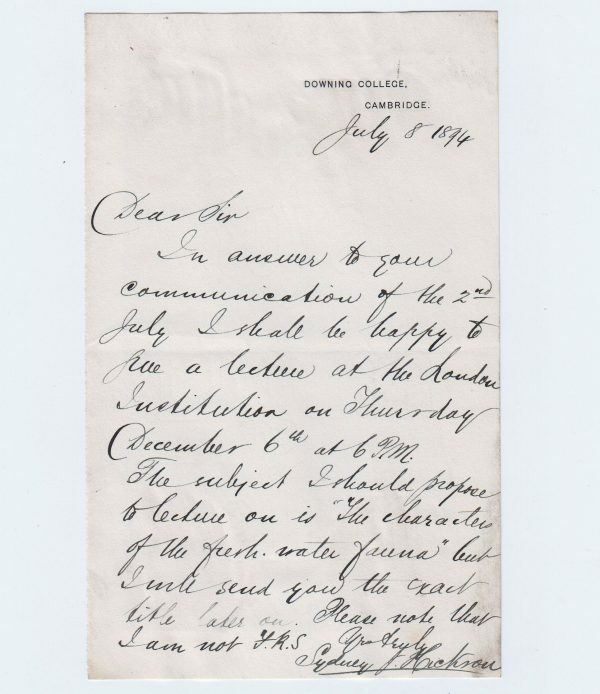 Autograph Letter Signed, about his lecture at the London Institution, proposing to speak on “The characters of the fresh water fauna”. 1 page 7 x 4 inches, in good condition, paper adhering to verso where formerly mounted. 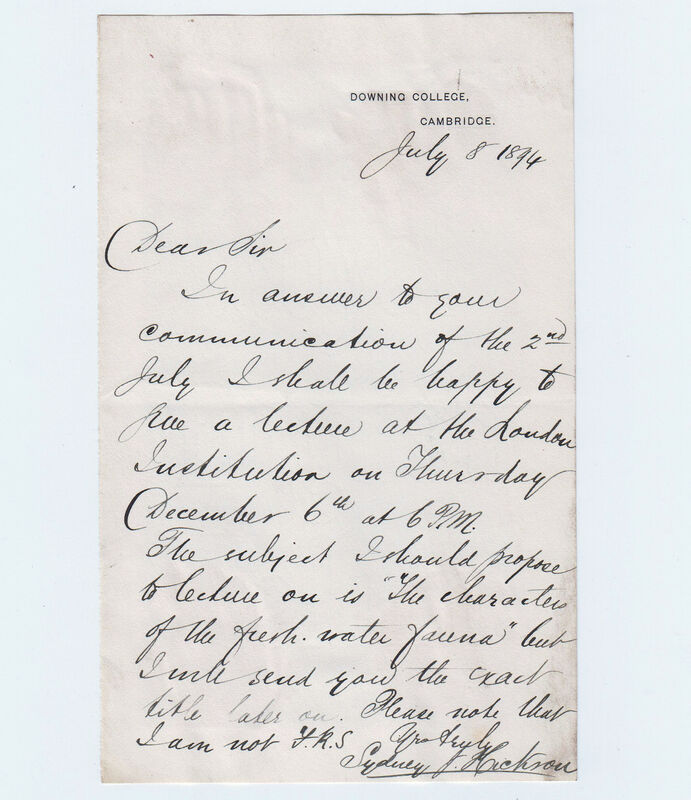 Downing College, Cambridge, 8 July 1894. Sydney John Hickson (1859 – 1940), zoologist known for his groundbreaking research in evolution, embryology, genetics, and systematics. Hickson travelled in the Malay archipelago in 1885–1886. He was appointed Professor of Zoology at the University of Manchester in 1894. Author of A Naturalist in North Celebes. A narrative of travels in Minahassa, the Sangir and Talaut Islands, with notices of the fauna, flora and ethnology of the districts visited. ; The Fauna of the Deep Sea .